Discussion in 'Game Discussion' started by Specter, Dec 7, 2010. Game play is changing in MMOs. Over the last few years action games have stolen a lot of techniques used by MMOs to enhance character advancement, online play, and PvP. Oddly enough, MMOs have not adapted and looked into other areas of gaming where they can make these types of improvements. Guild Wars 2 had a playble demo this summer at several shows. They gave the players a chance to try the game out and test the playability. Like any MMO player I jumped in to check out two important things: the pacing, and the combat. Both of these areas happen to be where MMOs suffer. 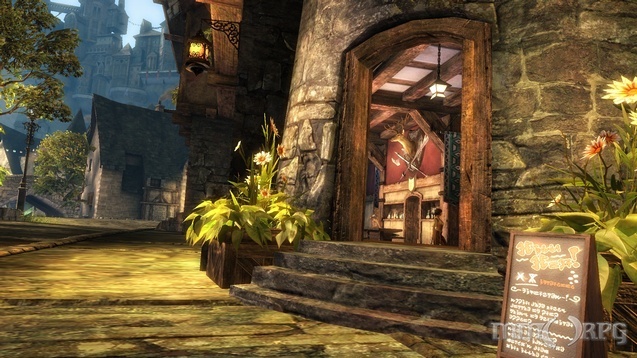 The Guild Wars 2 playable demo from 2010 will be remembered as one that addressed these two areas very well. First in pacing, I want to talk about the way MMOs go about playing. You get a quest, you go kill things, you turn in your quest and you gain experience. I know this model has been modified and changed over time; however its core remains the same. Games that stick to this model can be viewed as grinds. It took me a while to figure out what a grind really meant to me and I finally realized it was the pacing. Here is an example: I am an Orc, there is a boar in my backyard. I run up and hit it with my club. It bites me back. I hit it again. It bites me again. Finally on the third hit I score a crit and kill it. It dies. That was painful to write, and I am sure it was painful to read. However, that pacing is what I consider a grind. At low levels even though you are a new warrior or mage, you still should not have to take three to fiver exchanges to kill a simple back yard pest. This sense of pacing has plagued MMOs for a while now. 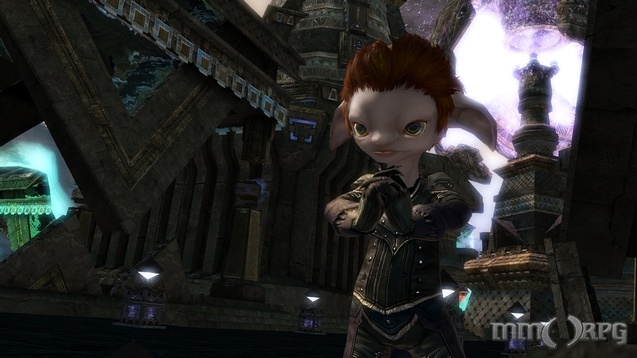 Guild Wars 2 moves much faster, as do a host of new MMOs hitting the market. They are starting to play much more like console games with more action. The combat is dynamic and it is something that Guild Wars 2 is working on very well. The demo we played this season allowed for movement and action during a fight. Timers on skills moved faster than we were used too. Also if you got in trouble the whole interface changes to play your desperation moves so you don't die. Just watching this game play as I went through the demo was exciting. It is what made me want to play the game more. As we see the next playable demo available in 2011, and you get the chance to play, ask yourself how the pacing feels. If it feels faster and flows cleanly, then ArenaNet has done their job well. So far they have proven that the pacing works very well for the game. Combat goes hand in hand with pacing and this is where I think Guild Wars 2 really shines. The interface gives the players plenty of options. Combat in the demo felt much more dynamic. I did not feel like I was sitting around as I took on monsters. I was moving quickly and staying active. The game felt like it was a long way from the old, pull one monster and hope for the best days. 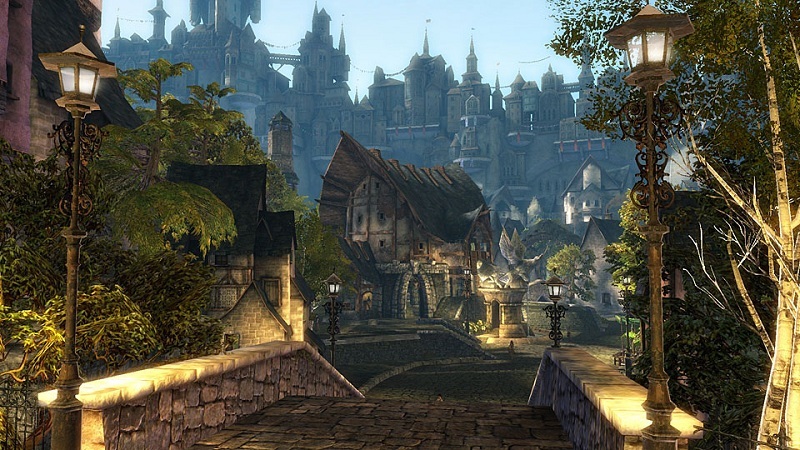 As MMOs move into the new decade, there are definite changes to combat that need to be made. The faster a game is the easy it moves and players can make snap decisions and feel good about them. As a player I love using the right skills at the right moment to avoid disaster. Guild Wars 2's combat system feeds that experience for players. The key to combat and especially PvP combat is balancing the system between classes. The ArenaNet team has said that Guild Wars 2 is taking end game PvP very seriously, so balance is critical. So far the combat moves fast, when players face each other, let's hope the balance is there so it can move even faster. I think Guild Wars 2 made quite a splash at the summer season this year. They are working hard to make the fundamental changes to game play in MMOs that I do believe will become the norm in games coming out over the next decade. For now we can only wait until the show season starts and get ready for the next playable demos to come for 2011.